b) France is my favourite country in the world, and I have spent a wee bit of time there hanging out at markets, cooking and mostly eating! 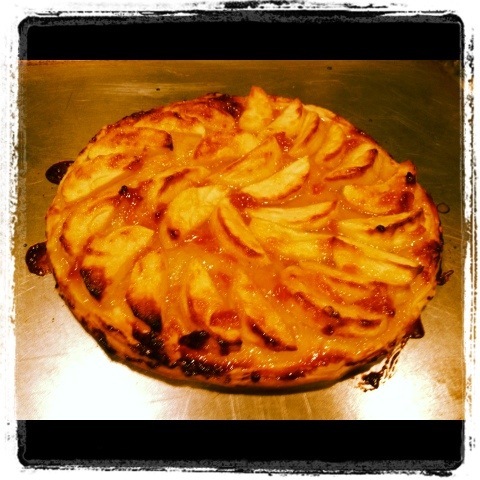 To kick things off, here is a simple French Apple Tart recipe which I made the other night. I was watching NZ Masterchef and Ray McVinnie made an awesome one, so I’m just going to link to his recipeand give you a lovely picture of what mine turned out like 🙂 So easy and yummy.